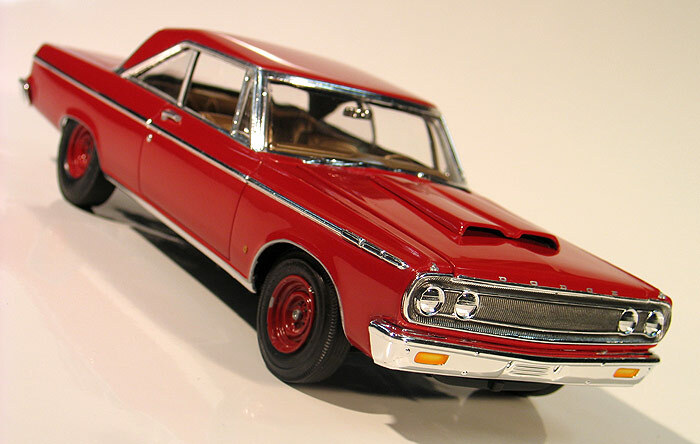 Here is my built version of the Polar Lights 1965 Dodge Coronet. It's a pretty easy kit to build. Basically, the kit comes with the body pre-painted and all you have to do is just assembly it. I wanted to keep this a simple shelf piece, but I did add a few details to make it a little more realistic looking. First, I polished out and waxed the factory paint job and then covered all the trim with bare metal foil. Second, the interior is molded in a light tan color that seemed to lack realism. I ended up painting it with a custom light gold color that I made by mixing silver and gold together. I wanted to give the car a "sixties super stock drag racing" look. So, I dug through my parts box and found a set of vintage drag slicks and some better looking front tires. 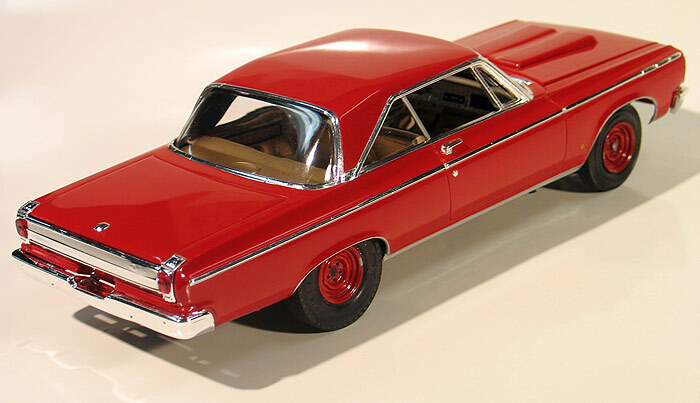 To those I added a set of steel wheels from a Johan '64 Dodge kit. 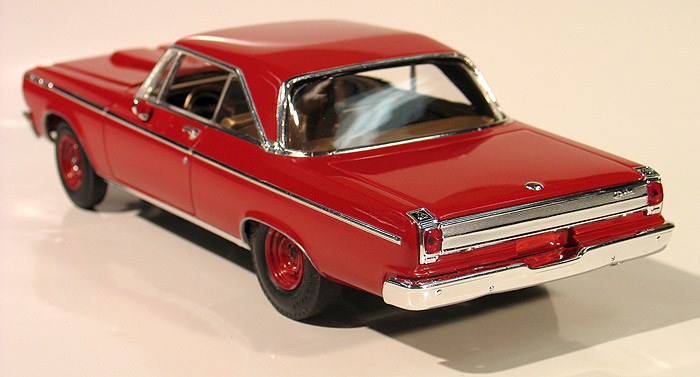 I got luckily and was able to match the red paint of the body by mixing a little black into some Testor's gloss red. I then finished the look by adjusting the front suspension so I set with a little "nose up" look that a lot of those cars had.